The recent pilgrimage of Chinese government muslim delegation, including elderly Uyghurs and Hui Muslims to Saudi Arabia revealed how the Chinese government has tried to build a wall between free Uyghurs living outside China and the chained Uyghurs in East Turkistan. Uyghurs living in Saudi Arabia took to social media to describe how Uyghurs from East Turkistan who have recently come to Saudi for the annual Muslim pilgrimage are avoiding restaurants and shops belonging to Uyghurs. However, they report that Hui Muslims visited the Uyghurs living in Saudi. To date, countless Uyghur writers, journalists, bloggers or other Uyghurs who try to reveal the truth by posting pictures or videos showing Chinese oppression are harshly punished and imprisoned. The World Uyghur Congress has published dozens of names that have been arrested, but that is only the tip of the ice berg as it is very difficult to get the exact number under such restrictions on information flow from the Chinese government. Looks like no one is paying attention to China’s new kind of Berlin Wall that it is trying to create between the free world and the Chinese communist colony of East Turkistan, almost 30 years after the Berlin between East and West Berlin collapsed. From 1961 to 1989, during the existence of the Berlin Wall more than 5000 people tried to escape over the wall and over 200 were killed. The number of sacrifices Uyghurs have made and the countless deaths that have occurred because of China’s new Berlin Wall is far beyond physical territorial border — it is both cyber and psychological. The Chinese wall extends its border in every Uyghur’s brain. The wall can stick on every Uyghur and follow them wherever they go as it followed the Uyghurs who came to Saudi Arabia for the annual muslim pilgrimage. It not only tries to conquer the Uyghurs body but tries to conquer their thoughts, words, behaviours, and soul. Because, it is a wall between disappearance and survival; slavery and freedom; it is a wall between fear and bravery. 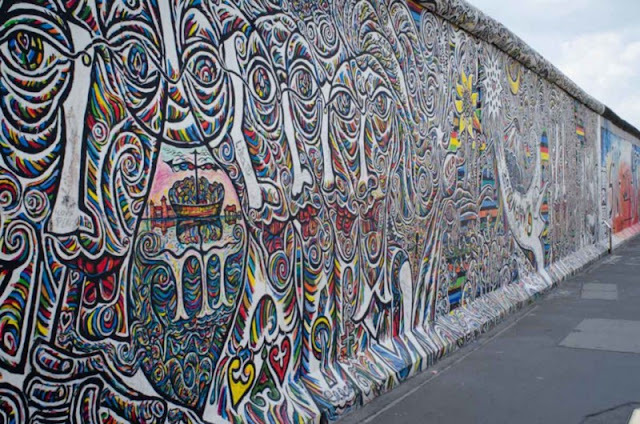 The Berlin wall in Germany was made with stone and people tore that wall down with hand tools. However, China’s new Berlin wall is made with terror, it can be only thrown over with hearts for freedom. What did our ancestors say? Lose your money, lose your life, but not your heart.